Lampe Berger New Spring Collection! I’m here to bring you some new and exciting releases from Lampe Berger! The New Spring Collection has arrived with beautiful new Lamps and home fragrances that will awaken the Spring spirit! 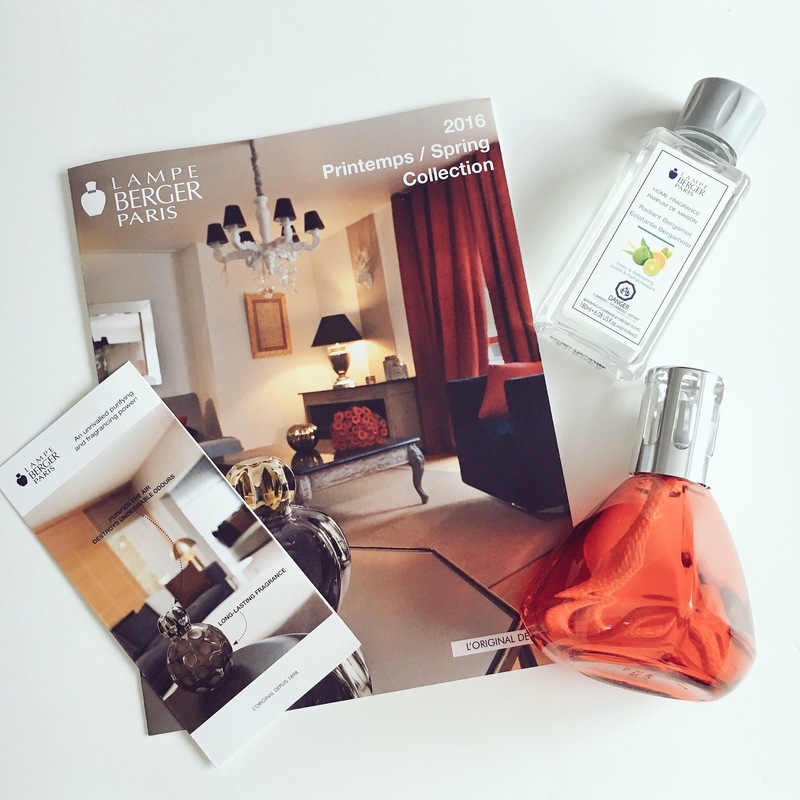 This year Lampe Berger is bringing new sensory experience. New perfumes crafted with the most beautiful raw materials. New perfumes that will enhance the finest interiors year round. There are also new lamps from restyled classics to Art Deco or vintage models. Lampe Berger offers a plethora of new lamps, for all ambiances. The Athena lamp is the brands emblematic model, gets a new assertive look. The elegant shape is highlighter with new, bright shades that are at once timeless and highly contemporary. With its criss-cross mounting, the Athena model takes on a trendy vintage look. Comes in 2 Colours: honey, bronze mounting smoky grey, aged tin mounting. I kindly received the Berlingot Box Set and I adore it! This set includes the new scent and I absolutely love it! It is citrusy and sweet at the same time. Its a beautiful bottle and It works perfectly with my decor. This modern bottle comes in two Colours: Green and Red and it has an upbeat Pop Art look. The Berlingot Lamp has a modern, refined shape and comes in lacquered glass in bright and vibrant colours. 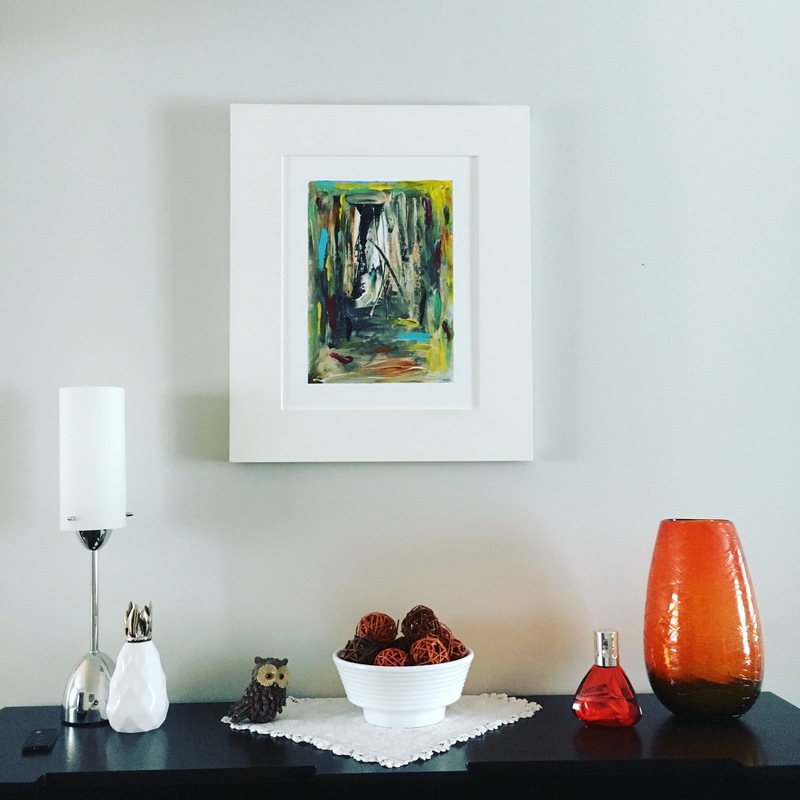 An original and upbeat look for your interior. This boxed set comes with the new zesty refreshing fragrance Radiant Bergamot 180ml. This year, the Ovalie Lamp comes in gentle rose. With its simple curved shape, Ovalie is luminous and feminine. It comes with the fragrance ‘Fresh Linen’, it makes an ideal gift for discovering the Lampe Berger ritual. An ode to spring and timeless nature! Composed of green notes, enhanced with a floral heart and rounded off with a sweet musky base, your atmosphere will be powdery, sensual and elegant. Perfume secret: Not only does Provence rose have an exceptional fragrance; it is also precious and fragile. It is only picked at dawn, between April and June, when its fragrance is at its pinnacle. The fragrance: A powdery and sensual fragrance: Top notes: green notes, apples. Heart notes: Provence rose, ocean notes, hyacinth. Bottom notes: Musks, violet, white honey. Composition: Perfumes, aqua, isopropyl alcohol. Love at first scent with this new fragrance. Commonly called Provence rose, this flower is a hybrid of four roses grown in Grasse, the capital of perfumer. Powdery and sensual, the Rose Intemporelle – Timeless Rose fragrance is composed of green top notes and a floral heart, enhanced by the feline aspect of the rose. The musky base adds sweetness and elegance. The heart carries the inimitable freshness of bergamot on a delicate floral base of orange blossom and jasmine. Perfume secret: Bergamot orange is a citrus fruit probably born of the natural cross-breeding of bitter orange and lime. Bergamot orange is a citrus fruit that originates from the Calabria region of southern Italy and is widely used in perfumery. A zesty, refreshing fragrance which transports us to the sunny shores of the Mediterranean. The top is aromatic with mandarin and orange alongside intense cardamom. The heart carries the inimitable freshness of bergamot on a delicate flora base of orange blossom and jasmine. An invigorating and fresh ambiance. This lichen is the result of a natural crossbreeding between fungi and algae. This gives it a characteristic scent: an earthy damp, slightly smoky note which evokes undergrowth, teamed up with salty and aquatic note. Due to its potency and olfactory wealth, oak moss is traditionally used in a woody fragrances to fix the base notes and to provide warmth and character. Today we find it in more refined formulations such as marine woody, fresh woody and other modern scents for its ability to enhance sea-salt notes. Thank you so much to Lampe Berger Canada for the lovely Berligot Box Set! This Pink Ovalie Lamp Set is perfect for Easter and for Mother’s Day! *PR Samples.This is not an AD. This is not sponsored. Not at all ! I was so surprised …. That’s probably me who misread your post 😉 Awesome new scents .